REMARKS: TRAN CALL 30 MIN OUT. A11 THIS IS A SHARED-USE AIRPORT. THE USAF OWNS AND OPERATES ALL RUNWAYS AND THE MAJORITY OF THE TAXIWAYS. 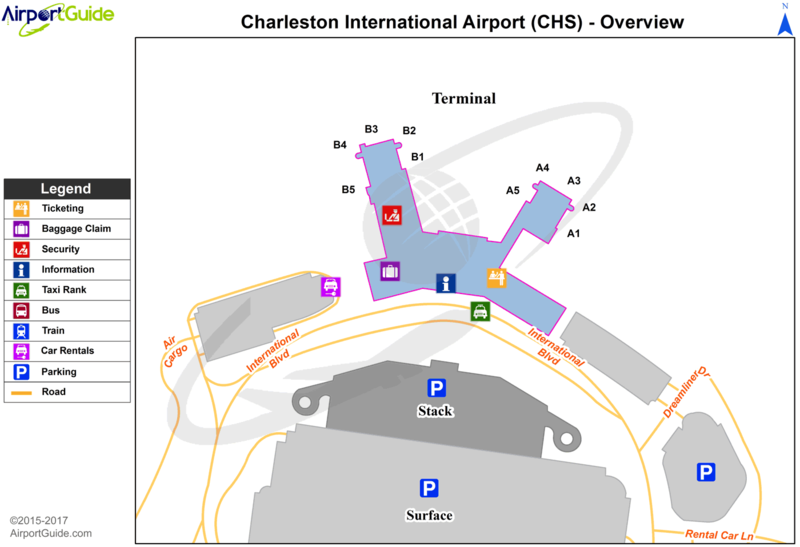 THE CHARLESTON COUNTY AVIATION AUTHORITY OPERATES THE CIVILIAN TERMINAL AND ASSOCIATED TAXIWAYS. A110-19 PARKING ON TERMINAL APRON RESTRICTED TO COMMERCIAL AIR CARRIER AND ACFT FOR CUSTOMS CLEARANCE BY PRIOR ARRANGEMENT ONLY. A110-2 LIQUID OXYGEN SERVING AVBL TO MILITARY. A110-26 SEE FLIP AP/1 SUPPLEMENTARY ARPT RMK. A110-28 RSTD: ALL INBD VIP CODE 7 OR HI, PAX, CARGO ACFT MUST CTC PALMETTO OPS NO LATER THAN 30 MIN PRIOR TO LDG. A110-29 RSTD: AMC ACFT OPR RSTD DUR BIRD WATCH COND MODERATE (TKOF OR LDG PERMS ONLY WHEN DEP/ARR RTE AVOID IDENT BIRD ACT, NO LCL IFR/VFR TFC PAT ACFT) AND SEVERE (TKOF AND LDG PROH WO OG/CC APVL), CTC PALMETTO OPS FOR CURRENT BIRD WATCH COND. A110-3 NO STUDENT SOLO TOUCH AND GO LANDING ALLOWED. A110-30 RSTD: ALL ACFT MUST CTC PALMETTO OPS PRIOR TO ENTERING MIL RAMP FOR PRK ASGN. A110-31 RSTD: NON-AMC AIRCREWS REQ RON SVC CTC COMD POST (PALMETTO OPS) DSN 673-8400, C843-963-8400 PRIOR ARR. TRML APN RSTD TO COML AIR CARRIER AND ACFT FOR CSTMS CLNC BY PPR. A110-32 CAUTION: MIGRATORY BIRD SEASON PHASE II 1-15 APR AND 1 AUG-30 NOV. RWY 15-33 RAISED APCH LGT IN OVRN, RY 03-21 OVRN 800FT. A110-34 TFC PAT: RECTANGULAR 1200 FT, OVERHEAD 1700 FT, LGT ACFT 700 FT, C5A 2000 FT.
A110-35 MISC: AFLD MGMT DSN 673-3024/6, C843-963-3024/6. AFLD MGMT OUT OF OFFICE CTC NR C843-609-4362. IF CIV SIDE OF ARPT IS FINAL DESTN, ACFT COMDR WILL SO INDICATE ON DD 175. DANGEROUS CARGO ACFT CTC PTD PRIM, PALMETTO OPS SECD. ALL AMC MSN ACFT CTC PALMETTO OPS WHEN WITHIN RDO RNG. A110-36 MISC: PMSV RDO UNAVBL. PMSV/PHONE PATCH AVBL THRU 628 CP DSN 673-8400 C843-963-8400. WX FLT CLOSED WKENDS, HOL AND DOWN DAYS. MIL WX FLD AFLD SUPPORT AVBL 24/7 FOR SVR WX, C843-754-1956. MSN WX SUPPORT HRS 1200-2100++ MON-FRI, DSN 673-3011/3016, C843-963-3011. MSN WX SUPPORT CLSD WKENDS, HOL, AND DOWN-DAYS. MSN WX SUPPORT BRFGS FOR AIRCREW AVBL VIA THE 260WS/BARKSDALE AFB DSN 331-2651/C318-529-2651 DUR MIL WX FLT CLOSURE HRS. A110-40 SERVICE-LGT: AIRFIELD BEACON NOT VISIBLE FROM NW. A110-41 MISC: TMPRY STOR OF CLASSIFIED MATERIALS: LTD CLASSIFIED STOR AVBL. 24 HR PN RQR WITH AFLD MGMT. PRIOR COORD RQR. CTC BASE OPS 24 PRIOR TO ARR. NO CLASSIFIED STOR AT COMD POST. FOR TOP SECRET STOR CTC OG/OGS 24 HR PRIOR TO ARR DSN 673-0955, C843-963-0955. A110-44 SERVICE: KCHS MIL PROVIDES NO SECURITY AND NO ACFT SERVICES AT FBO'S AND COMMERCIAL TERMINAL. A110-46 RY 03-21 CLSD 1330-2200Z++ MTHLY 2ND THU. RY 15-33 CLSD LAST THU OF EA MONTH 1330-2200Z++. A110-48 CAUTION: RY 15-33 1000 FT OVERRUNS HAS FRANGIBLE RAISED APCH LIGHTS. A110-51 CAUTION: MIL RAMP ACFT CONTACT CHS GND CONTROL FOR ENG START & TAXI. A110-52 RSTD: RVR AVAIL VIA FAA ATCT. A110-53 MISC: AFLD SFC WX OBS TAKEN IAW FAA CRITERIA, NOT AF CRITERIA. A110-54 SERVICE FUEL: ALL ACFT RQR FUEL, PLEASE HAVE IN YOUR POSSESSION THE WHITE DD FORM 1896 FUEL CARD, US GOVT AIR CARD OR YOUR BASE BILLING INFO. A110-55 TRANS ACFT FOR MIL RAMP FOLLOW-ME RQR. MIL ACFT FOR FBO PRK/SVC RQR PPR (843-746-7600). A110-56 CAUTION: RY 21 - FREQ PRK TRAIN CARS (25 FT AGL), CONSTRUCTION/UTILITY STORAGE YARD (20 FT AGL) 1000 FT FR THLD AND GRAVEL PILES (50 FT AGL) 1500 FT FR THLD. A110-57 RSTD: PPR, EXC AIREVAC, SAM AND AMC GDSSII MSN, FOR NUMBER AND LCL TRNG FLT TRAN ALERT SUPPORT CTC AFLD MGMT DSN 673-3024/6, C843-963-3024/6. A110-58 CAUTION: REDUCED FIRE SUPPORT FOR C-5 AND AN-124 ACFT, DEGRADATION OF FIRE FIGHTING CAPABILITY. C-5/AN-124 WITH EMERGENCY MUST CLOSELY COORDINATE RQR WITH PALMETTO OPS. A110-59 CAUTION: MIL SIDE WG TIP CLNC LINES: TWY D 161 FT FR TWY CNTRLN AND RAMP INTER-TXY 115 FT FR CNTRLN. TWY KILO CLSD; PERS AND EQPT UP TO 25 FT AGL PRESENT IN THE AREA. A110-61 RSTD: C5, B747, AND AN-124 ACFT TAXI WITH OUTBOARD ENG AT IDLE. A110-62 FUEL: A++(MIL), A+(ATLANTIC AVN, C843-746-7600) (NC-100, A1+). 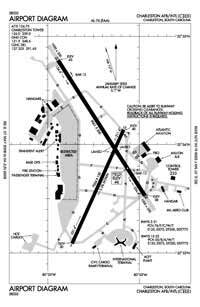 A110-63 CAUTION: FUEL PIT/SWITCH OBST 36 IN HIGH LCTD 75 FT LEFT OF TWY D CNTLN N OF TWY E.
A110-64 CAUTION: RY 15-33 1 FT RAISED THLD LGT. A110-65 MISC: PAX TRML OPR 0930-0330Z++ DLY. AFTER HRS CTC DSN 673-7005/7006 OR C843-963-7005/7006. A110-66 SERVICE-LGT: RWY 15 ALSF-2 ALSO OPR AS SSALR DUR VMC. A110-67 ALL AIRCRAFT USE UPPER ANTENNA UNTIL AIRBORNE. A110-68 RWY COND CODE (RWYCC) NOT RPTD. A110-69 AFLD GRASS CUTTING OPS CONDUCTED IN CTL MOVEMENT AREA YR ROUND; CTC AFLD MGMT FOR DLY LCTN. A110-7 PPR FOR PARKING OF GENERAL AVIATION ACFT ON TERMINAL RAMP CTC 843-767-1100. A110-71 MISC: COMBAT OFF-LOAD OPS ON N END OF TWY D MUST ENSURE THAT PALLETS LAND PRIOR TO LEAD-IN LINE TO RWY 15 APCH END; CTC GND IF PALLET LANDS BYD LEAD-IN LINE. A110-73 RSTD: EXP RWY 15/33 OPS SUSPD 1230-1300Z++DLY FOR A-G INSPECTION. A110-9 INTENSIVE HEAVY MIL JETS & OTHER MISC ACFT EXECUTING NUMEROUS CARGO & PERSONNEL DROPS, HIGH SPEED LOW-LEVEL FORMATION FLTS & MISC AIR-TO-GROUND OPNS. A14 PAUL CAMPBELL IS THE DIRECTOR OF AIRPORTS FOR THE CHARLESTON COUNTY AVIATION AUTHORITY. THE AIR FORCE AIRFIELD MANAGER CAN BE CONTACTED AT 843-963-3028. A30-03/21 RY 03/21 CLSD SECOND THURSDAY OF EACH MONTH 0830-1700. A30-15/33 CLSD LAST THURSDAY OF EACH MONTH 0830-1700. A40-03/21 LGTS FOR BOTH RWYS ARE AF SPEC TYPE. E147 TPA: RECTANGULAR 1154 FT AGL/1200 FT MSL, OVHD 1654 FT AGL/1700 FT MSL, LGT ACFT 654 FT AGL/700 FT MSL, C5A 1954 FT AGL/ 2000 FT MSL.